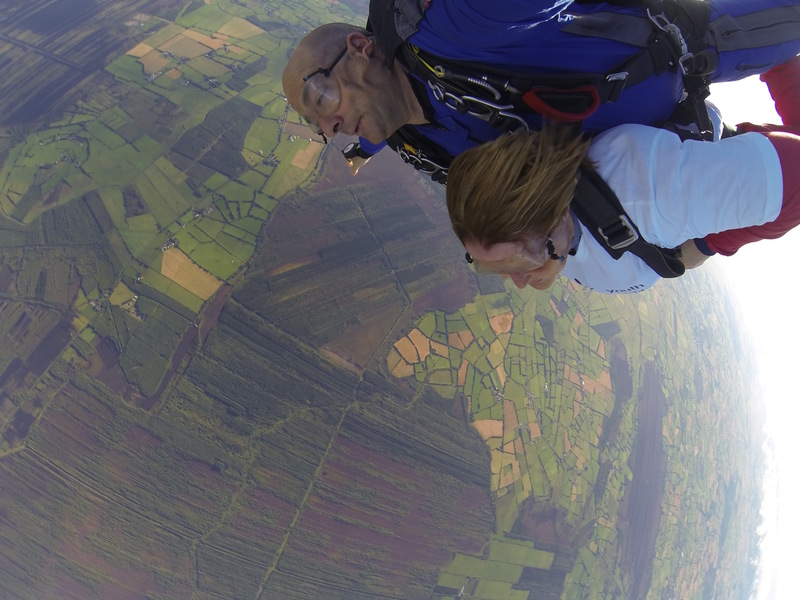 Carole Bradley (56) who is Warden of Kingston College in Mitchelstown, County Cork did a tandem skydive on Saturday, 12th September in aid of Youth Suicide Prevention Ireland. Kingston College (‘college’ in the sense of ‘community’ – not an educational establishment) is a social housing complex founded in 1761 in the Diocese of Cork, Cloyne and Ross, and Carole has been its Warden for over 20 years. Carole Bradley in her tandem skydive with her instructor. 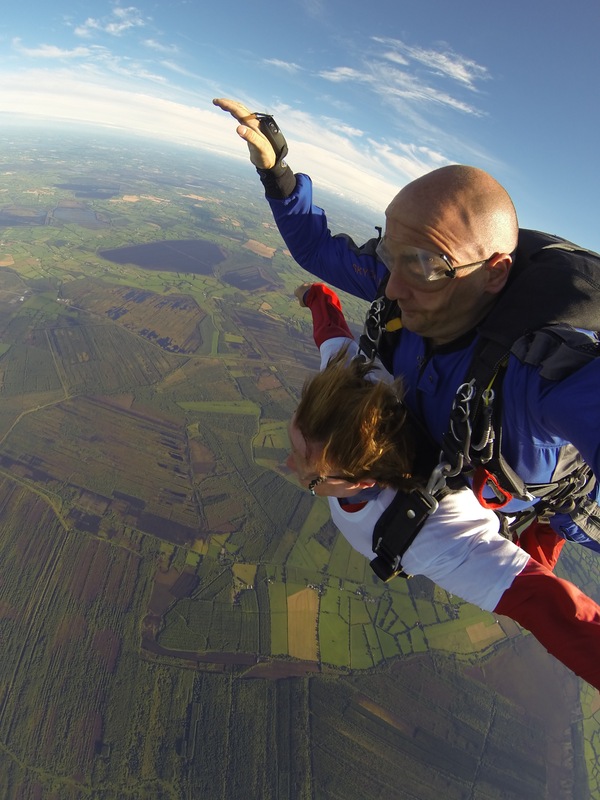 “One life lost is one to many” That is the motto of YSPI ( Youth Suicide Prevention Ireland), so when a friend asked me would I do a charity tandem skydive for this charity I said ‘Of course’; I had good reason to. I had lost a very close family member aged 17 to suicide some years ago and knew well of the devastation that suicide can cause, all the unanswered questions that go through you mind. Did I miss a sign? Was there a cry for help? Could I have done anything? And the one asked over and over again, WHY? I set up a MyCharity page and started to fundraise. The total today is €900. Was I scared? No, but I was expecting to be. I was nervous but excited. I had never ever done anything like it. In fact only 19 months ago I was 8.5 stone heavier. This was a leap of faith and sign of trust. I trusted the instructor to know what he was doing. The day before there was a yellow rain warning so it was uncertain if we would be able to even go. I was watching the weather updates daily. Finally at 5pm the day before we were told we were good to go. We took off from The Irish Parachute Club in County Offaly. That moment you drop from the aeroplane and just float away I will never ever forget. I hope that by raising awareness of mental health and suicide in our youth will mean that no other person will have to go though the loss and pain of a loved one and suicide. This entry was posted in Charities in the Diocese, Charity Work, Community Involvement, Contemporary Issues, Diocese, Fund-Raising, Kingston College, People from the Diocese. Bookmark the permalink.